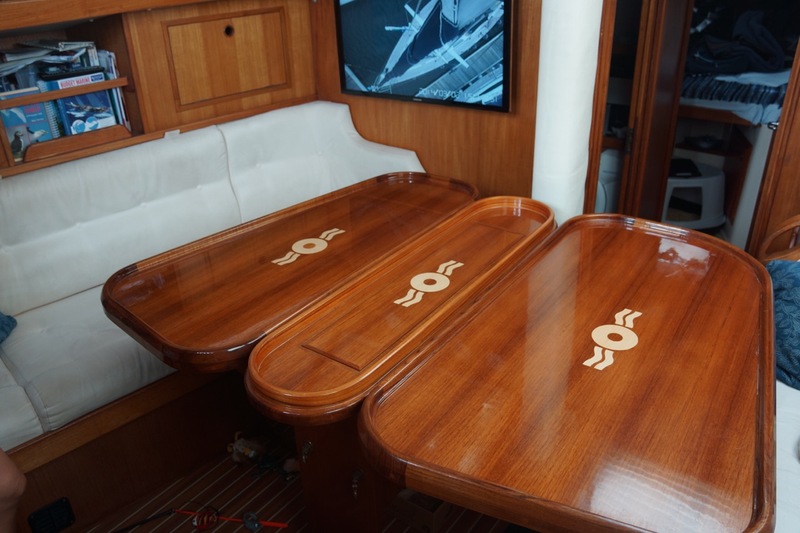 TLC Boat Repairs took on the challenge of restoring an old saloon table that had seen better days, and incorporated the Oyster logo into the table. 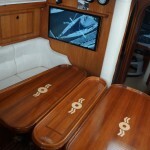 It went from an eyesore on the boat to a feature. 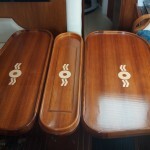 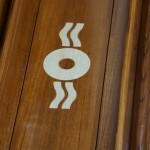 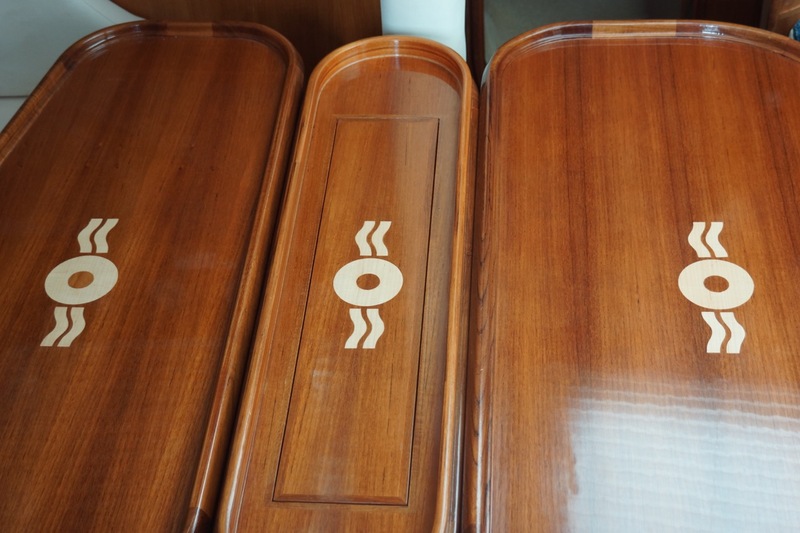 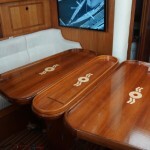 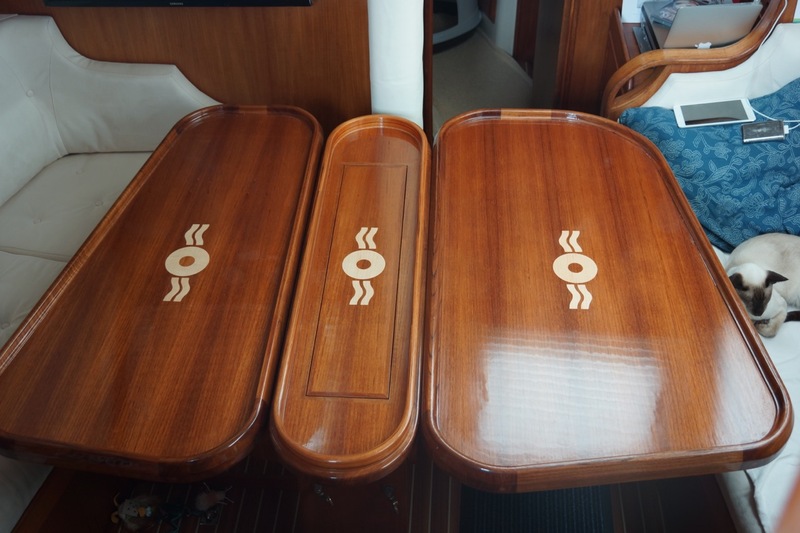 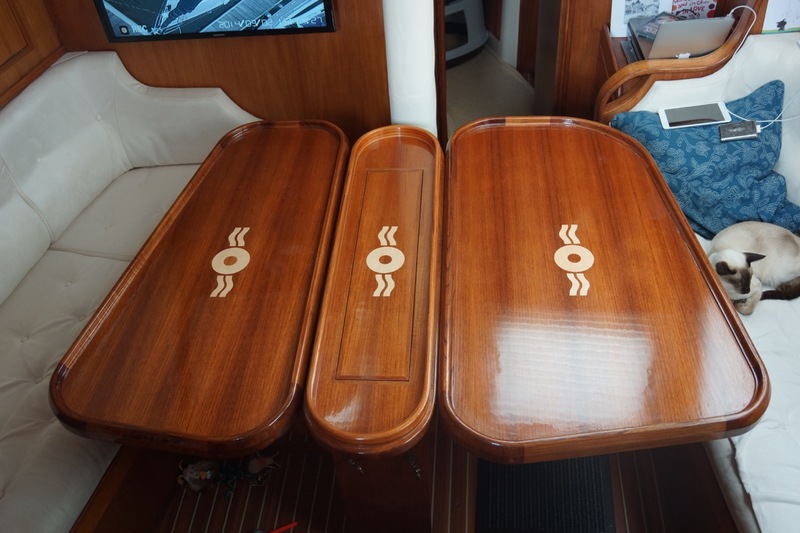 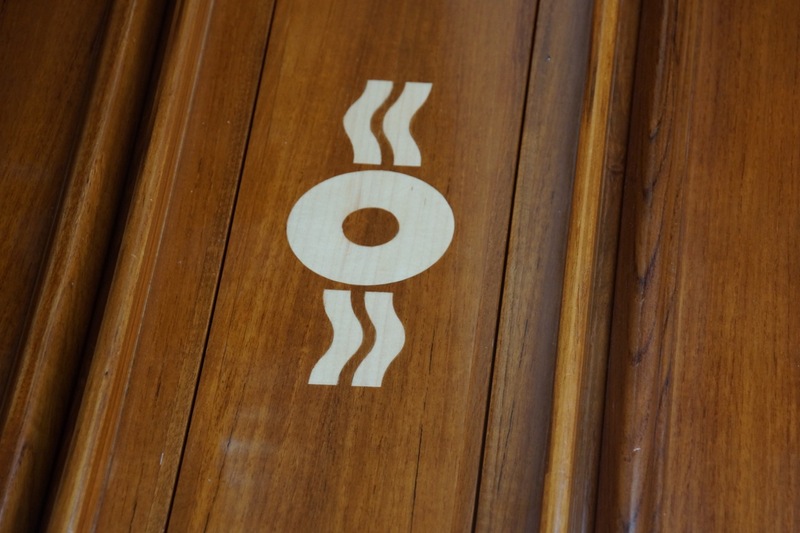 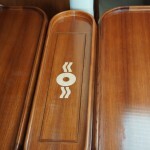 We were amazed by the craftsmanship and they even pampered to our whim of having the Oyster logo inlaid in white wood. 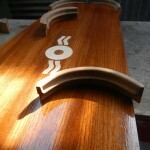 The finished result is fantastic. 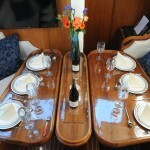 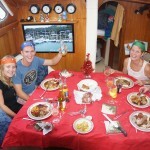 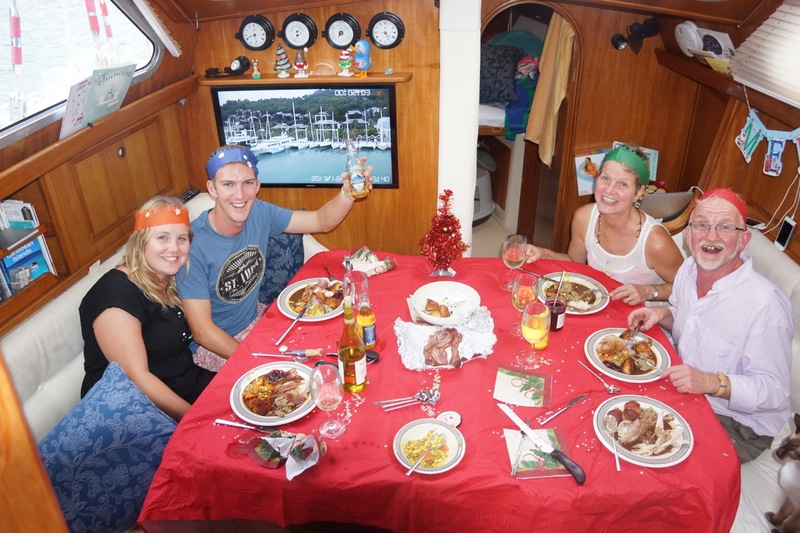 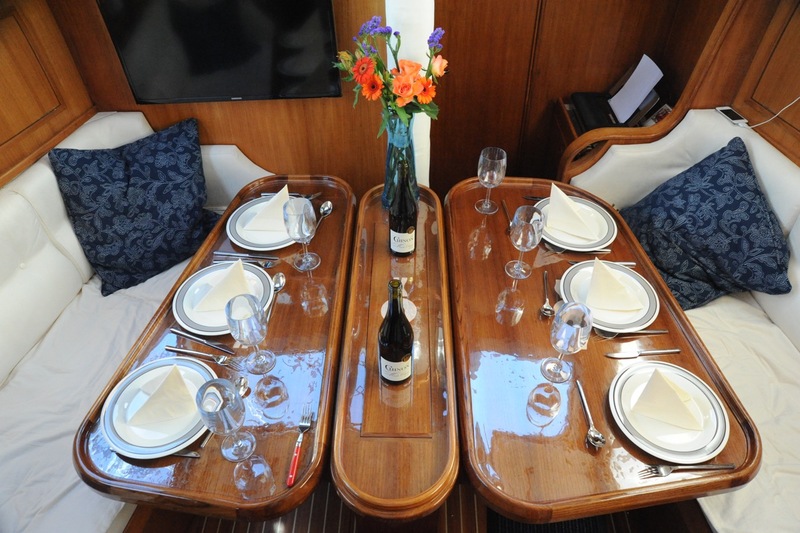 Whenever we have guests on the boat they always remark how stunning the table is. 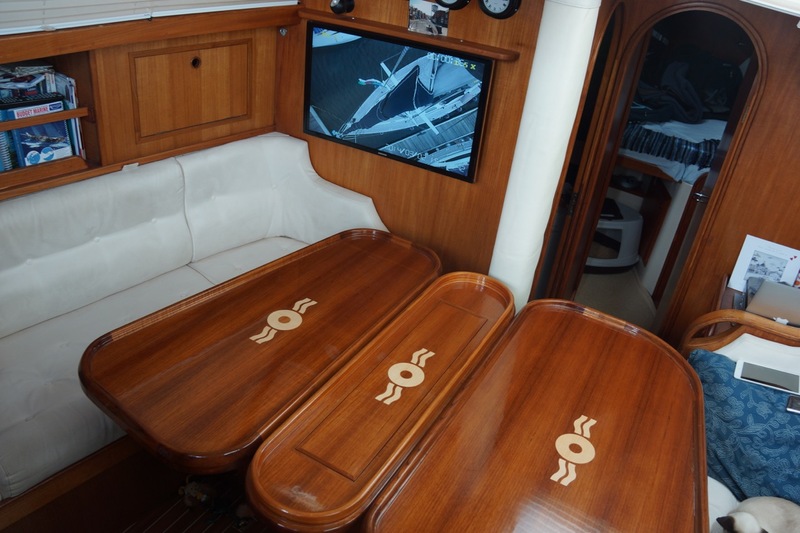 Other bigger Oyster owners have been jealous. 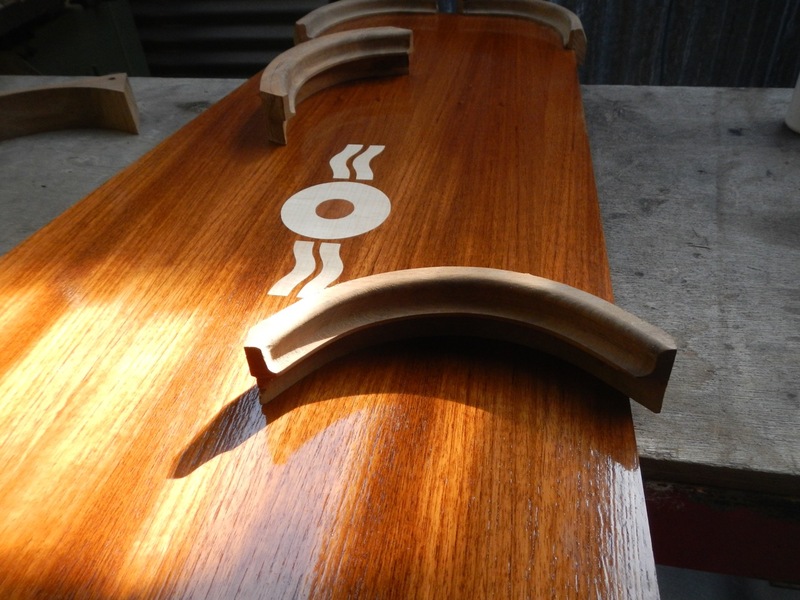 Two years later it is still turning heads. 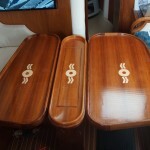 Thanks TLC and thanks Paul.